Ivory Press’ C Photo series is a five-year project that follows on the heels of C Photo magazine, departing from its predecessor’s format by structuring each issue thematically, with guest editorships from various internationally renowned curators. 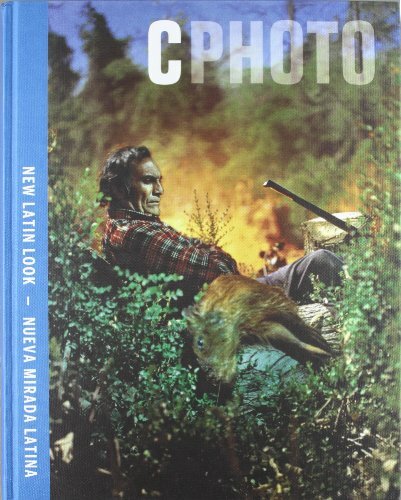 The fourth issue of C Photo, New Latin Look, presents a highly original selection of young Latin American photographers, whose explorations of the photographic medium have led to a rebirth of photography in Latin America, and will ensure a renewed appreciation of a tradition whose power and depth have been ignored for too long. The volume includes portfolios by Alexander Apóstol, Julio Bittencourt, Fernando Brito, Alejandro Chaskielberg, Ana Casas Broda, José Castrellón, Andrés Marroquín Winkelmann, Fernando Brito, Miguel Calderón, Óscar Fernández, Luis Molina-Pantin, Rosario Montero, Guadalupe Ruiz, Geovanny Verdezoto and Irina Werning. Vik Muniz and Martin Parr contribute essays.